Fiction could be seen as a form of post-truth in that it wants to persuade us to treat the narrative it presents as if it were real. That has led to criticism down the ages, and authors have often felt the need to defend themselves of the charge of misleading the public. John Bunyan, for example, answered critics of The Pilgrim’s Progress by asserting that it contained ‘Truth within a Fable’, and this chapter weighs up the arguments for this notion. It claims that fiction generally has good intentions, and that this differentiates it from the divisive tactics of post-truthers on the far right politically. 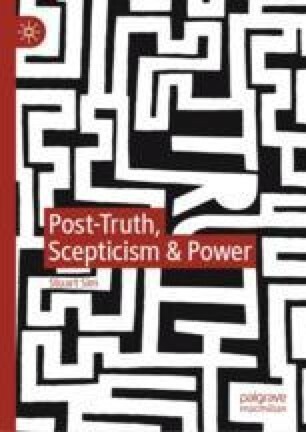 Richard Rorty’s defence of literature as a source of useful knowledge that can affect our moral development, provides useful support for Bunyan’s view, from a philosopher who takes a very pragmatic approach to truth and the issue of relativism.